"S.O.T.R is who we Are. Another tune from my Rap Repertoire." 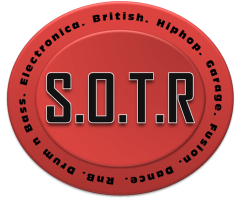 Sounds of the Redbridge (or "S.O.T.R) are an independent collective of British music producers, lyricists, songwriters and DJs. We have been involved in the music and entertainment scene in one way or another since the mid 1990s. Our music styles and influences are extremely varied and include Hip Hop, Dance, Pop, Alternative, Drum n Bass, Garage, Soul, RnB, Electronica and Classical. S.O.T.R was officially founded in 1999, firstly under our former record label called 'Double Barrell Beats Limited' and now independently in conjunction with M.E.C Productions. For more than 20 years, we have produced many tunes. Our early music productions (during the mid to late 1990s) were very basic and involved us spitting original lyrics over other artists songs and beats, as well as performing regularly throughout the UK and Europe at clubs, festivals and parties as DJs and MCs. Things changed at the turn of century when MadSkill Adil and DJ M.U.D decided to take their passion for music further by investing in various music gear. Nothing fancy though - all our songs produced since 2000 have been done using a KORG D1600 16-track digital studio, TECHNICS SL1210 turntables, MicroKORG synthesizer, KORG Kaos Pad MK1, KORG ER-1 and ES-1 beat machines, and guitars. All our offerings including songs, mix tapes, collaborations, videos, and more are available online, mainly for the S.O.T.R Crew to reminisce and listen to as they grow old! But we want you to be able to enjoy our music and vibe too, so please take a listen and share with your friends too! Support our music by following us on Facebook, Twitter, YouTube and Reverbnation. I make the tracks, I'm back and that's a matter of fact."